Here. More Victorian Era robots. Thanks, David. 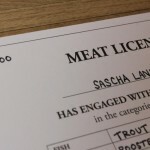 Can I See Your Meat License?